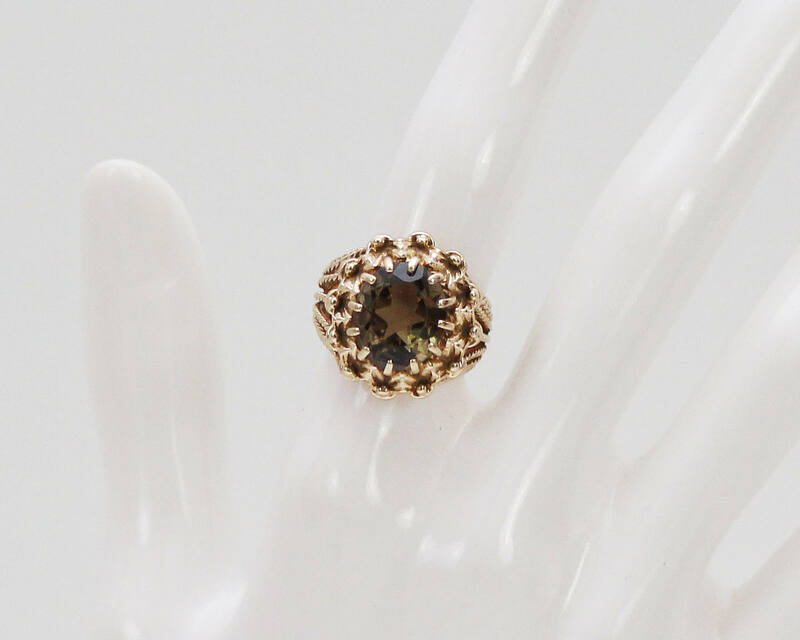 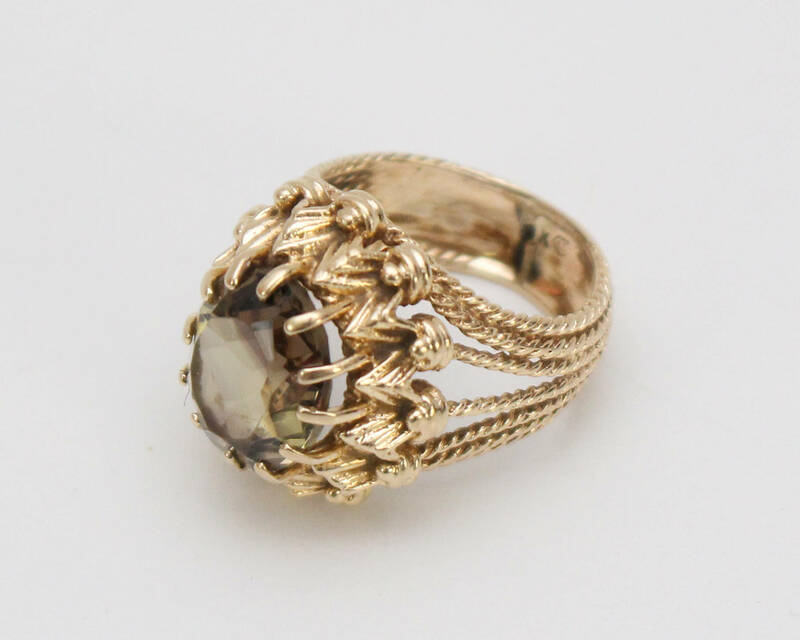 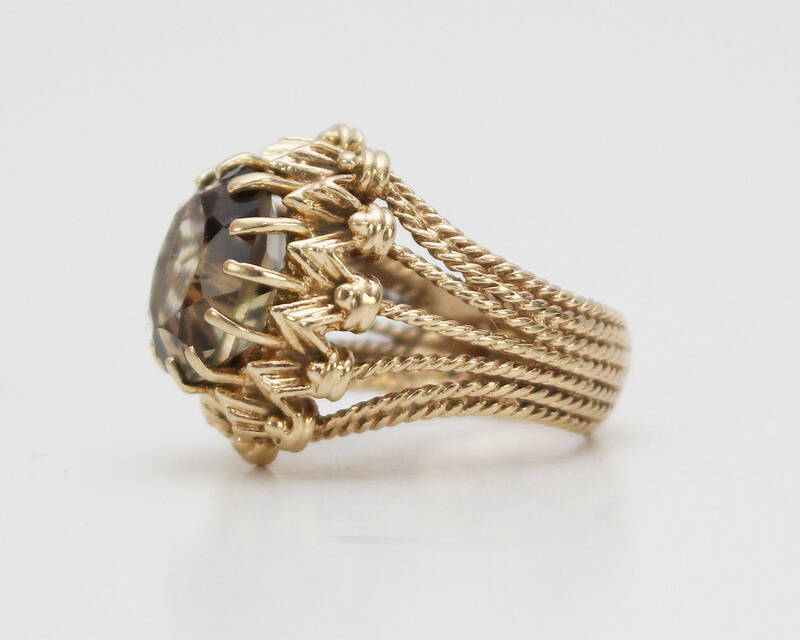 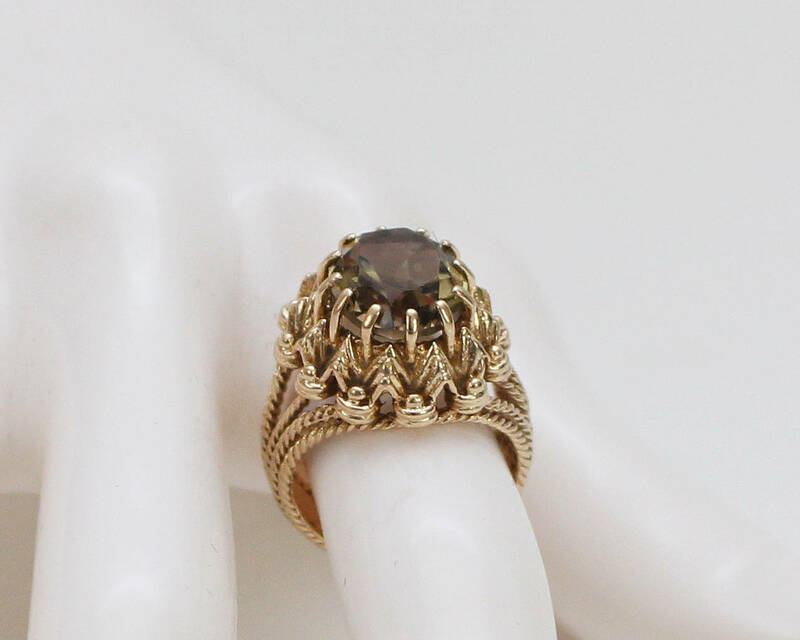 A fabulous smokey topaz cocktail ring highly set in an intricate setting and band. 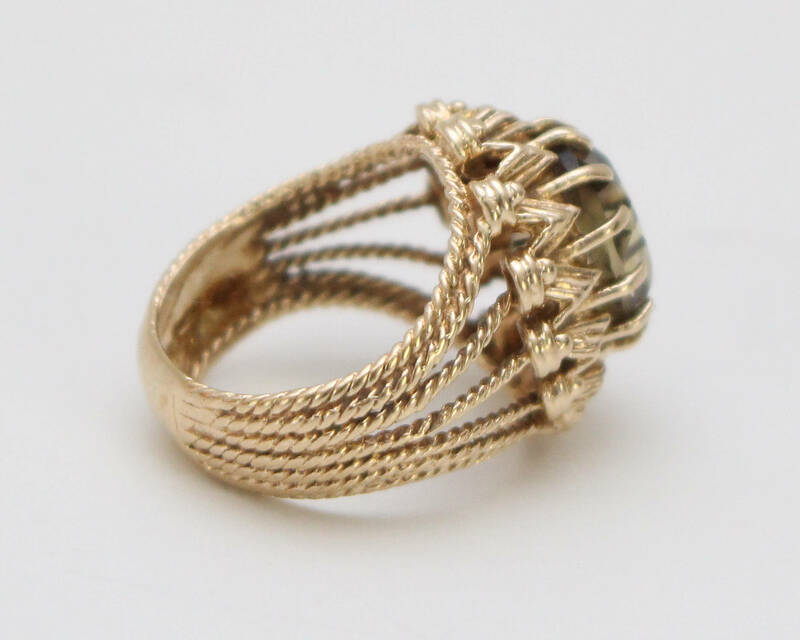 The band is comprised of seven gold ropes that extend to hold the stone setting. 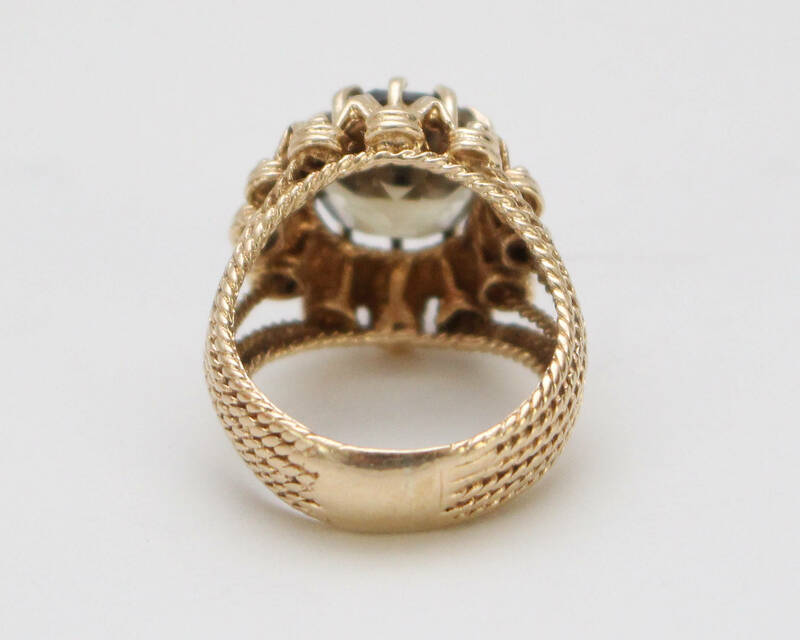 The ring is of karat value and hallmarked but both are rubbed down and difficult to see. 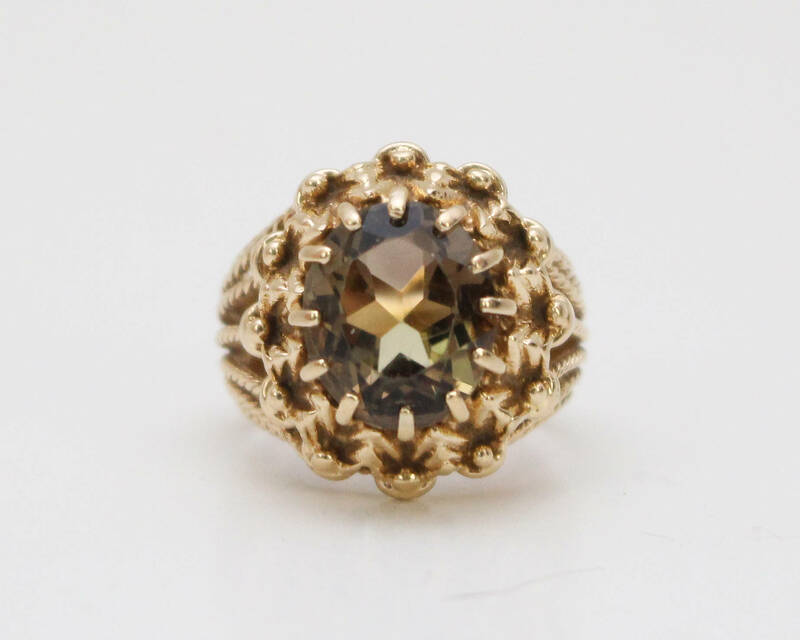 A beautiful 1970s high end costume jewelry piece!